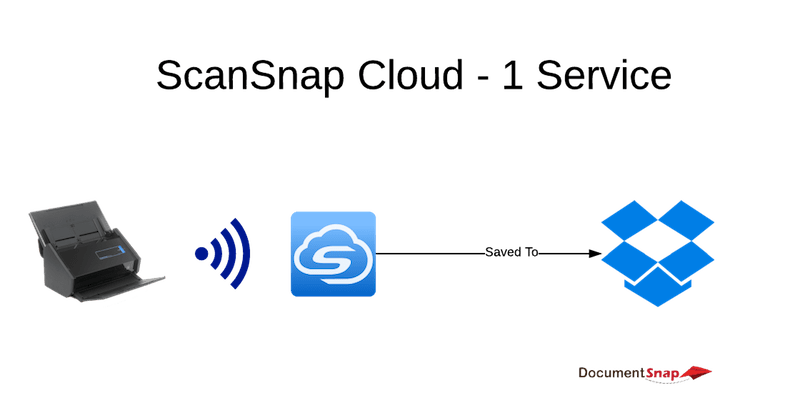 Do you know when ScanSnap Cloud will be available in Australia? We have a HIPPA compliant customer wifi locations using MAC’s and IOS devices who wants to scan docs directly to Egnyte. What do you recommend? Is SnapScan HIPPA compliant and filing to Egnyte yet? Thanks! I like this feature. 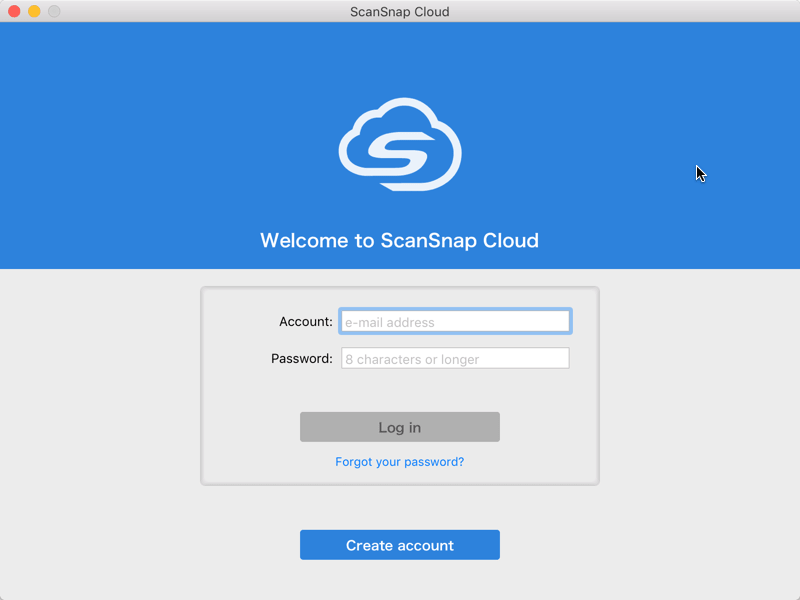 However, is no one concerned that ScanSnap Cloud request full access to your cloud service. (I tested with DropBox and OneDrive). 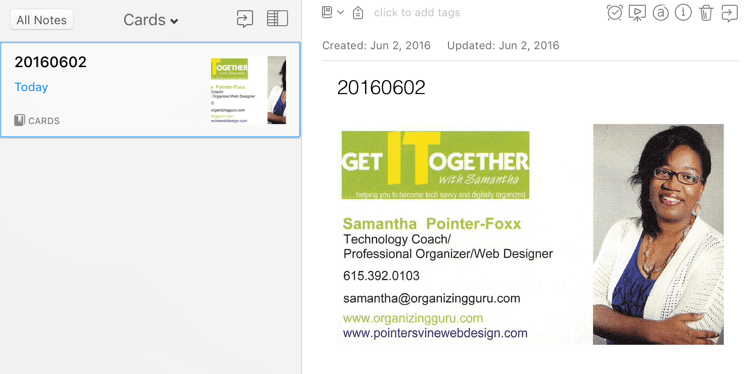 ScanSnap Cloud(US) will be able to open and edit OneDrive files, including files shared with you. You last used ScanSnap Cloud(US) today. That’s crazy! My workaround was to create a dummy OneDrive account. However, since Fujitsu seems so lax about privacy/security issues, I’m wondering why I would trust them with my scanned document which spends up to 2 weeks on their servers as well as my cloud service. Does anyone know for sure if the SnapScan Cloud app can be used with the Evernote edition of the ix500? I give ScanSanp Cloud an “F”. Technically everything works great. Except – one is limited to recognize fewer than 500 pages a month. This arbitrary limitation completely screws-up my and probably many others workflow. 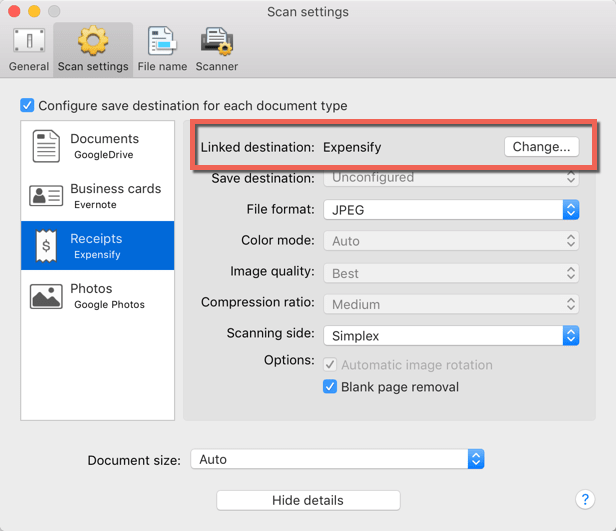 Why have a workhorse scanner, great workflow and then cripple it with a limitation? Whoever the genius product manger was that put in the limit needs to be shown the exit door. I get the fact that the service can’t be free for 1,000s of pages. But, how about freemium as a biz model? Why not make the first 500 pages free then charge a reasonable rate after the free number is exceeded? I’d gladly pay. Say hello to recurring revenue Fujitsu!! Please! OCR is there now! it works great…. FYI. Has a way to scan to print (essentially copy directly) without the need of a computer been developed yet? I’m simply looking to set a profile with preferences that when I press the physical button it scans and sends to my brother wifi printer without computer access. This feature would complete the device. Any idea is OCR is planned..? I work for a Truck Transportation company, and we have been looking for something like this for some time. The ix100 is a good scanner in that it is not hard to use and it handles all the various types of documents we come across. 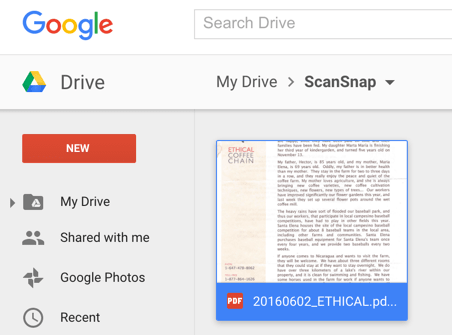 However, the ScanSnap Connect Android Applications we started to use was too complicated for many drivers to use. The major problem was that each Android phone was slightly different than the next one, and they all had problems with automatically connecting the scanner to the phones WiFi. 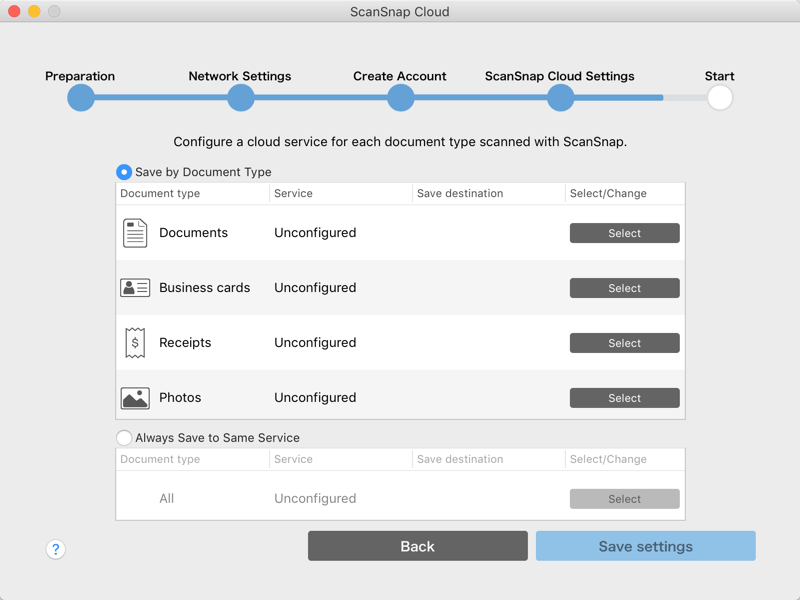 Now comes the ScanSnap Cloud app. 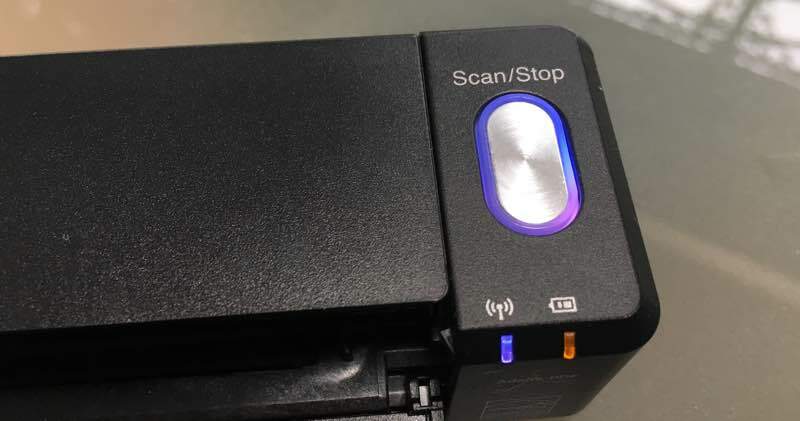 This solved most of the problems in that it transmits from the scanner through the phone (vice to the phone with the Connect app.). The driver is relieved of most checks as he only has to have Mobile Data on and have the Hotspot of the phone on. He can then leave the phone in his pocket and just turn on the scanner, press the button to scan, press the button to stop scanning and wait a few seconds until the phone gets a done notification. The driver then turns off the scanner, and goes down the road. The only other thing the driver does is enter the Trip Number into the phone app. at the start of the trip. 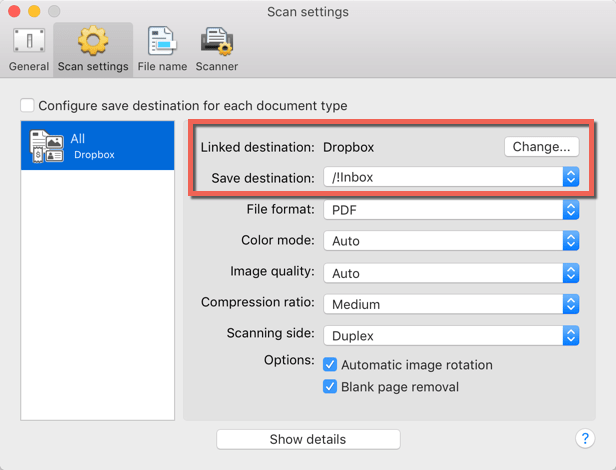 The driver can also re-transmit the documents to email from the phone app if needed. We have 60 trucks running the system, and they all send to the same Google Drive repository, but to separate folder within the Drive. Makes it easy as anything I have seen so far. There is no page charges either like all the commercial services, and Fujitsu listens to the customer. The Fujitsu Cloud service routes the scans to our Google Drive, and there is no cost for that as long as we clean it up from time to time. Fujitsu automatically rotates the scans to correct reading if the page is scanned sideway or upside down, and it will even take a document that is scanned cross corner and straightens it up. We already have a onsite product that breaks multipage PDFs into single page ones, so we do not need that done by Fujitsu. Hi Rob, have you found anyway around this? I’m in Australia too and have been caught out thinking that this worked here. It was the deciding reason for me to go with this model. I went to the USA and DL the software over there. I could send you a copy? 1. Some of my documents don’t go on cloud storage without encryption. So, for those, I am out. 2. For all PDFs, I need OCR done automatically. For that reason, I am out. 3. No profile support. I am out. 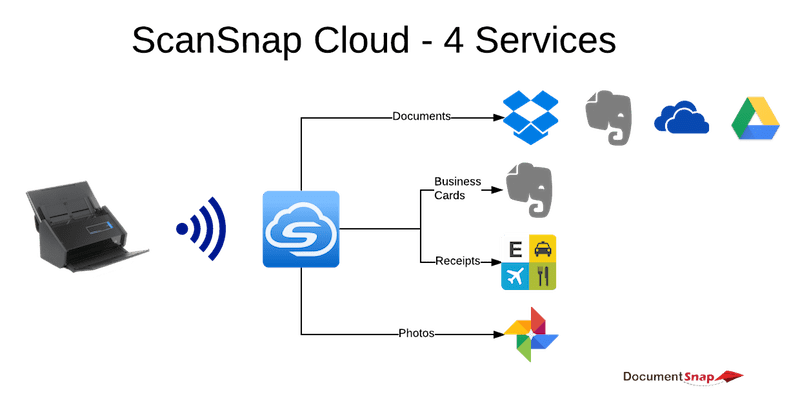 If one has a simple workflow and does not need the missing features, ScanSnap Cloud will enhance the productivity. Unfortunately, for me it would decrease mine. This has been a disaster for me. Now, my scanner switches to cloud without any interaction on my part. I’ve tried this on a mac and 2 Win 10 pc’s and still cannot consistently get it to stay scanning to the computer and not the cloud. There is no way to go back in firmware in the scanner. It looks like Fujitsu needs to fix a firmware bug. Although I don’t live in the US I was able to download it from the US Mac App Store. I briefly changed my country to the US. I switched it back after successfully updating the ix500’s firmware and setting up ScanSnap Cloud. Have Fujitsu indicated how long it might take before OCR is available? Until it’s available it won’t be suitable for many potential users. IScanSnap Cloud could solve a problem for me in that ScanSnap Manager doesn’t support a Mac Pro with a bonded ethernet connection. Hi Greg. Thanks for the tip. Did you just change your Region in Settings.? Can’t see why they wouldn’t make it available in the UK yet. I’ve managed to get ScanSnap Cloud running on my ix500 from Belgium. It works if you download the Windows version – no country restrictions there it seems. I’ve used an image from Microsoft on my Mac: https://developer.microsoft.com/en-us/microsoft-edge/tools/vms/mac/ You can download and run the Scansnap Cloud setup program from within the image. Once it’s set up, you don’t need the VM anymore. This sounded interesting to me so I decided to set it up to try it. This may seem like a silly question(s). 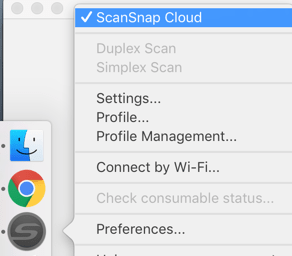 I am wondering something though…is there a way to make it default to ScanSnap Cloud instead of ScanSnap Manager (Mac) when I turn my computer on? I rebooted to test something else and the noticed that the scanner went back into it’s normal wi-fi mode. I see that it’s easy to switch back and forth but am wondering what happens if I shut my computer off. For instance if I shut the computer off with the scanner setup for Cloud, will it stay that way until I turn the computer back on? Or if I leave it set on the ScanSnap manager and shut off, does it stay that way? I also have both the regular ScanSnap app and the new ScanSnap Cloud app on my iPhone but I don’t see anyway to change from one to the other there. Your explanation was great but the switch from Cloud to local did not work as expected. There were a number of glitches. And then I found out it wouldn’t do OCR. That was a killer for me. I deleted it. My workflow already saves to Dropbox and Hazel picks it up so no advantage to me. I do wonder for whom this would be a good fit. Hi Grace, what glitches did you run into? I haven’t hit anything like that. 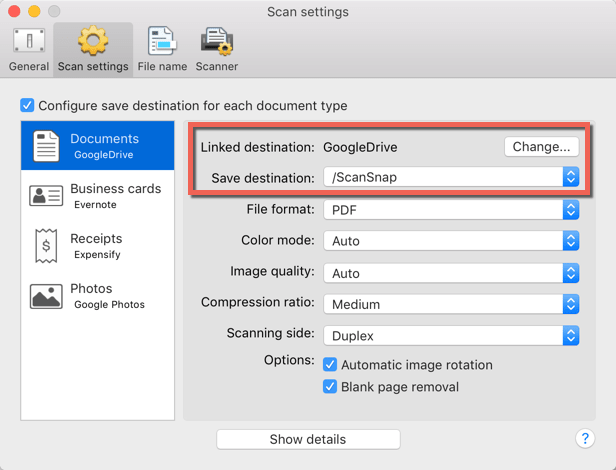 I don’t own one of the newer Scansnaps so I wouldn’t be able to use the scan to cloud function anyway, but my Scansnap is permanently attached to my iMac via USB and I could, if I wanted to, make it save documents in the Google Drive, OneDrive, Dropbox etc folders on my iMac, with the added advantages that the files would have gone through OCR and would be searchable, and that I could use my Hazel rules to put them into the appropriate folders. They would then be available from anywhere – my MacBook Pro, iPhone, iPad and any other device which allowed me to access the cloud service. I say ‘could’ but in fact I don’t scan to a local cloud folder but to an ordinary folder which is a dropping point from where Hazel sorts the files and puts them away in the appropriate places. 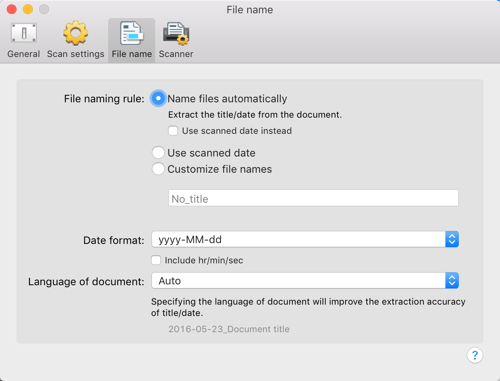 I sync all my documents between my iMac and my MacBook Pro using Synk so everything I scan ends up on both computers. OK, that doesn’t make them available on my iOS devices but putting all my documents (I have a lot) on a cloud service would involve my taking out a subscription, which I am currently not willing to do. I might go that way if I end up buying a newer MacBook or MacBook Pro with a small SSD drive, mind you – the subscription costs for three years would outweigh the extra cost of buying one with a big SSD drive. I can see the point for someone who wants to scan documents without a computer handy but am struggling to think of a situation where I would find that useful. Maybe that’s just me. So what is your recourse and recovery plan for all your data in the event of a natural disaster, fire, etc. which destroys both your iMac and MBPro while they are both in the same location? Good point. I currently have three back up drives in addition to Time Machine backups for each computer, so I should be putting one in my shed outside the house, or asking my children to look after them, on a regular, rotating basis. I could buy a new 2TB hard drive every year for less than the cost of 1TB of storage on Dropbox, for example. An advantage of the hard drives is that they are exact clones and can start up my computers, something I have just had to do when my iMac hard drive started to fail. You can’t do that with Dropbox. Anyway, that’s a bit off the subject …. 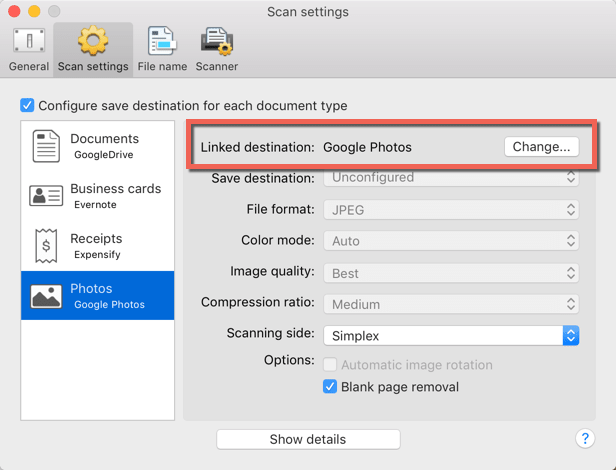 Scan to Cloud is a very nice feature, but it is inaccurate to credit Scansnap as the first to offer this. 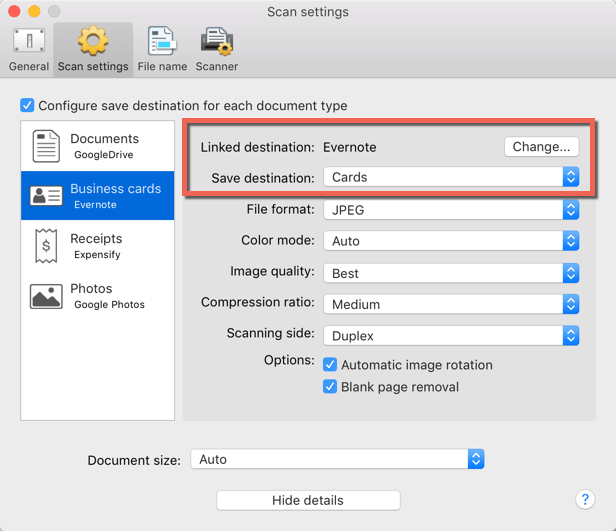 My all in one Brother allows me to scan directly to Evernote in the cloud without adding the scan to my computer. I’ve been doing it for quite some time. Hi Nate, I don’t think I ever said the ScanSnap was the first to do this. I interpreted that to mean that you did not think any other company’s scanners offered that option. I agree that It is a wonderful feature, and should be simple to implement in any company’s all-in-one printer/scanner which includes wifi, which most sold today do. I assume you would agree with that? Ahhh, got it! Yeah what I meant was “I didn’t think it would be possible to enable for ScanSnaps that were already shipped and on people’s desks”, but I can see how you would read it that way. And I agree, ScanSnap is definitely playing catch-up here. NeatConnect is another scanner that has been able to do it for ages. Can the Scansnap be connected to PC via USB and still scan to cloud? Yes absolutely. You can flip back and forth between local and Cloud scanning. See the section near the end of the article. Works great. SUPER news. I’ve been hoping for this news ever since buying my ScanSnap iX100. 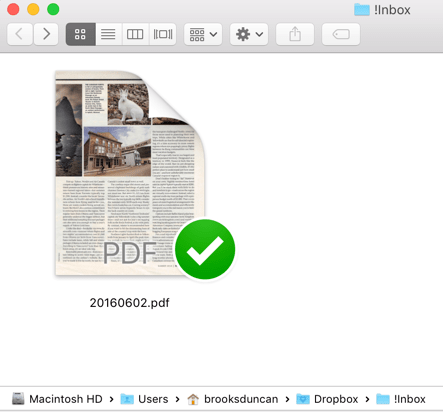 Since I anchor my cloud services to a RAID, it’s been a challenge to send my PDFs skyward in one step — and this new feature even lets me customize destination folders. On the road, this will be a godsend. Thanks for the update. Awesome Arthur, that sounds like a great use. Great article with a lot of details. I use a Chromebook laptop and a windows desktop. I am waiting for a scanner that works with Chromebooks to switch my desktop computer to Chromebook too ( Chromebox). Google Chromebook laptops outsold Apple’s Macs during the most recent quarter so this OS is becoming more and more popular. The scan to the cloud feature is a great step toward my goal but unfortunately, we need to install the software on a Windows computer first. 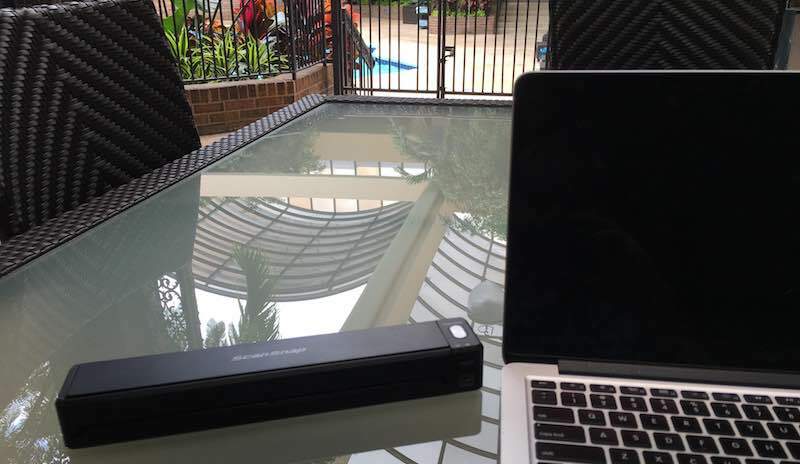 I am waiting for a scanner that works with Chromebooks without windows. We are almost there, I guess this will happen within a few month or a may be a year. I cannot believe that the scanner makers will continue to neglect the growing Chromebook customer base. I didn’t cover this in the article but I THINK you can set it up using the iOS or Android app without needing to use a computer. The app wasn’t available until the article was posted so I haven’t had a chance to test that out yet. I’ll see what I can dig up. 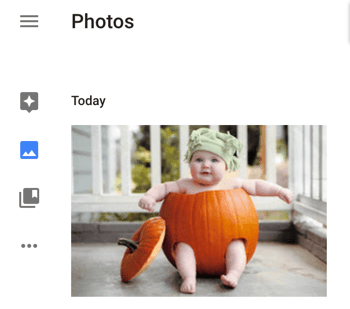 Other than that, it’s perfect for Chromebook users because you can have it just upload to Google Drive. I was wondering about this and was hoping I’d hear from a non-NA user. Since you download the software yourself I thought maybe the usual restrictions wouldn’t apply. What happens when you try to download it from Australia? Does it not even let you hit the site? Wondering if it’s Fujitsu ? Or Apple not validating it ? It’s definitely Fujitsu. I tried circumventing the country restriction and managed to download and install the Android app. However the country code is also checked inside the app in the setup process and then can not be continued. Interesting product add. I’m glad to see Fujitsu appears to still be developing software solutions for the S/S product. As you mention above, I’m a bit bummed that they could not figure out a way to support S/S Cloud for older hardwired devices. You can already get the same functionality through advanced profile setup and windows scripting, but it would be a nice value-add to bring it to older devices. 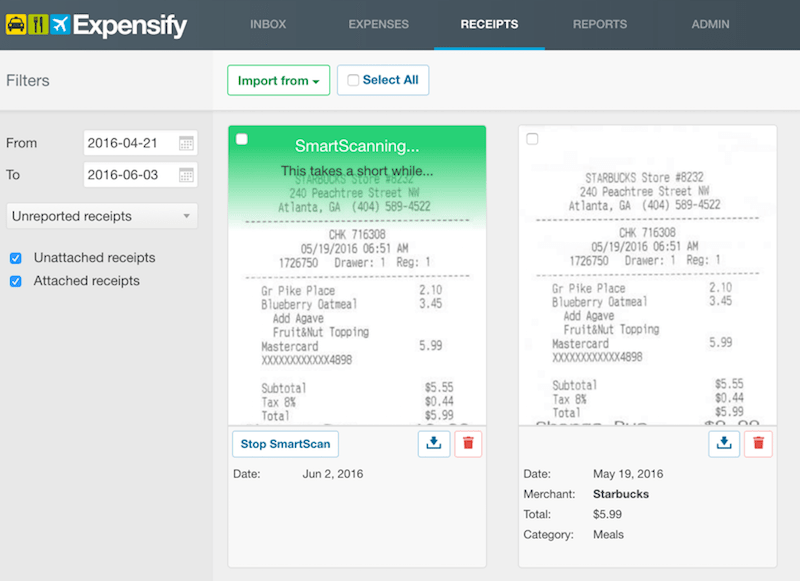 Interesting that they support Expensify, yet nothing on their S/S Receipt product. I just got back into using it to track and archive personal receipts, but I have not found the time to figure out the right profile settings to enable automatic uploads to Expensify. Well, like I mentioned in the article there isn’t really a way to make it work in older ScanSnaps because those older ScanSnaps don’t have a Wi-Fi chip in them. Re: ScanSnap Receipt, yeah since that is not an online-based application you can’t really use ScanSnap Cloud with it, but who knows. Maybe some future version will support it similar to their ScanSnap Sync feature with ScanSnap Organizer.